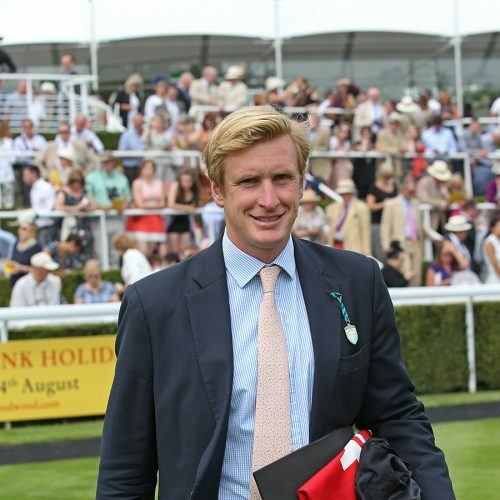 A former assistant of Luca Cumani, Walker started training from The Authorized Yard at St Gatien in Newmarket in October 2010 and made an immediate impact when his first runner, Riggins, won the Listed Hyde Stakes at Kempton. His first two seasons were a great success and rapid expansion led to relocation, with Walker and his team moving to Grange House Stables on the Hamilton Road in December 2012. The move and the changes it brought to the routine were not all plain sailing and this, combined with two bouts of ill health among the horses, meant his third season did not progress as he had hoped. However, it ended on a high note when Ruscello won the Group 3 Lexus Stakes at Flemington in Australia. In December 2013, Walker and his team were on the move again, this time to the historic Warren Place where the great Sir Henry Cecil trained so successfully. Forty winners flowed in 2014, with Lightning Moon landing the Group 3 Bengough Stakes at Ascot in October. Similar success followed in 2015, including a day in June when he sent out five winners across the country. He also hit the frame in a pair of Group 1 races with Stormy Antarctic and stable stalwart Mutatis Mutandis. Now training at Eve Lodge Stables, back in Hamilton Road, Walker landed the Craven Stakes this year with Stormy Antarctic but the colt ran below-par next time in the QIPCO 2000 Guineas – the opening race of the 2016 QIPCO British Champions Series.